As we celebrate the Winter Solstace in North America, I am reminded of the value we can derive from “the longest day of darkness of 2016.” It is fitting that this day comes as we turn the clock towards 2017. 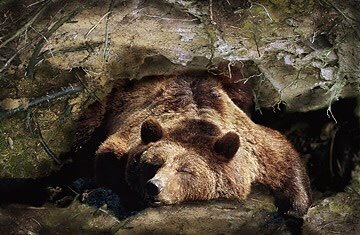 Much like our wildlife respond to the darkeness by hibernating, we too can hibernate in a purposeful way to advance our leadership style. Enough has been said about the year of 2016. It is likely that you have had your ups and downs professionally and personally. By hibernating on our leadership style, we close our eyes and look inside to reflect and deepen the awareness of our impacts enabling us to refine how we lead in our work and homes. On the left side of this paper capture the choices, thoughts, and feelings that you recall through that action and impact. On the right side of the paper capture the actions, and behaviors you made happen. Seal the pieces of paper in an envelope to be opened before the end of Q1. Hibernating on your leadership helps to find the breakthrough in your style that can unleash greater impacts in 2017. Go into that quiet space, and contemplate how you plan to advance your leadership impact in 2017. What is Your Human Condition? We all share the human condition, and just as we are all unique individuals, so is our individual human condition. You have an opportunity, more so an obligation, to work with your own human condition with respect to your leadership of self and others. Your human condition is shaped in two ways. First, it is shaped by the external experiences you have with your environment. Second it is shaped by your internal reactions to your environment, or the story you tell yourself about your experiences. To discover your particular human condition, first seek to understand what signals your environment is sending you. Are your colleagues supportive or punitive with their words and actions? What is the story they are telling you through their words and actions? Second, ask yourself “what is the story that I am telling myself?” As you go about your day, be it a work day or a weekend, try to observe yourself and the messages that you send to yourself. If you are presenting to a client or team of people, what is your state of mind? Are you whispering to yourself that the meeting is going to be a success, or is there self doubt creeping in or dominating your thoughts? These external and internal perspectives help to share your human condition. By the way, the same internal / external human condition concept that applies to you as an individual, applies to your business entity. What is the story that your employees and leaders are telling themselves and each other about the company? This is your company’s internal story. Is that story supporting or inhibiting your ability to achieve your strategic intentions? Your customers are telling stories too. They are shaping your corporate condition through the experiences they share with others and with your employees. Finally, what story are your employees telling your customers? The messages to your customers are your company’s external story. To work with or change your human condition, you must start with your internal story. You cannot directly change your external environment or other’s words and actions, but you can directly change the internal story you are telling yourself. In my experience, the most impactful option to change your human condition is to change your own mindset. A highly valuable method for changing your mindset is meditation. Meditation leads to mindfulness which leads to a new way of seeing, feeling, and deciding about yourself and others. To lead your company, you need to start with yourself in the journey. By changing your internal story, you change other’s story about you and your role model the change required at the company level. Developing new ways of seeing, feeling, and deciding is critical for strategy implementation, transformation, and leadership breakthrough because this new way of seeing, feeling, and deciding generates a new human condition to be shared by yourself, your employees, and your customers. To learn more about how these concepts come together for corporate transformation, please visit http://www.businesschangeleader.com. Have you asked yourself “what is your purpose in this world” or “what is your legacy”? I find these questions to be profoundly shifting in relation to how we view ourselves on a daily basis. Having asked these questions a dozen or so times, with only those who I have my most trusted relationship with, each time, it is like time has stopped, and the recipients of my question are “stopped in their tracks” pausing to take a perspective of their life inside the office as well as outside the office to consciously ponder an answer. I rarely, if ever, have received an immediate answer that honors the depth of the question. And the recipients get the depth! That’s why they are “stopped in their tracks”. I submit to you that these are questions that bring clarity to life, to your daily comings and goings, to your trials and tribulations, and to measure the value of the investment you make daily with the cost of doing so. If you have read this far into my post, I have an ask for you. Is it the – trying to answer the question in the title – that drew you to read these details? If so, where do you find your mind wandering? Is it outside of you, towards your career, profession, title, income, or social status? Or, is it inside of you, towards your values, beliefs, and honest intentions as if no one were judging or measuring you by your answer? Either was is fine. If your default response is of the former, the outside, write it down, take note, and then look inside, to your higher self. Complete your answer from the outside and then look inside. If your response is of the latter, the inside, ask yourself “why”. Stay in the question, the wonderment of your purpose for another minute, hour, week, or month. This is not an answer who’s quality is measured in response time. Any answer is accurate, and only you know the true answer. Stay in the question. Be in enquiry of the question AND the answer, for, how do you truly know that your answer is the true answer to the question: what is your life’s purpose? You will rarely find a better question or answer to ponder in life. And if you do, please let me know because I am very curious to hear your perspective. As we all progress in our own individual journeys, we periodically come across others that are doing related work. I have experienced this several times in life, and Wendy Quan is one of my newest experiences. Like a rope is braided, so are our individual and collective journeys toward greater consciousness. In a recent entry, Wendy eloquently and shared simple insight into the meditative experience that we all have access to, if we choose. As we enter the culmination of the Holiday season, I encourage you to take 3 minutes to read Wendy’s latest gift to the blogging world. Once you have checked it out, take 5 minutes to stop and consider how you might weave meditating into your 2016 plans, as an investment in yourself and your own happiness, you deserve it. Find your spiritual path and purpose by learning to sit in silence. It develops your intuition and awareness. If you live your life in a state of constant busy-ness, life is flying by without much meaning and you figure there must be more to life, I write this post for you. What is Your Life Map? It’s been a long time since I posted an update, and I look forward to reversing this trend in 2015. I have been seeking the topic, post, or theme that would inspire me back into writing posts. I have found one such topic. The TED talk below introduces some social studies and technology that may change how you commute to work or the gym. Daniele Quercia calls his work, Happy Maps. in the 7 minute video he describes a cartography of his commute to work being driven by happiness and not efficiency. His discussion of his commute cartography moved me to consider this same concept applied to other contexts beyond a daily work commute. Inspired by this video, I want to expand your awareness regarding Happy Maps to a larger context. Each day, we travel through our life as leaders in our families, work environments, communities, and even ourselves. In doing so, we create a cartography for our days. On any given Monday the cartography of our life may be characterized by family, work, exercise, and maybe some entertainment if we manage to squeeze in the favorite show we recored on our DVR. The cartography of our days will change based on the activities or destinations we experience. Some days may be filled with more happiness, if you change your work commute using the Happy Maps being developed by Quercia. Some days may continue to be ruled by efficiency, if you use your mapping app in a traditional manner. I want to pivot this concept of cartography from the traditional mapping app through the concept of a Happy Map and into a Life Map. How would you describe the cartography of your life? What destinations, activities, experiences, and emotions are you creating in your family, work, and community life? What destinations, activities, experiences, and emotions are you creating in yourself? How would your family observe and describe your life map? How would your co-workers observe and describe your life map? How would your community observe and describe your life map? How would you observe and describe your own life map? Having pondered these questions, I would then challenge all of us to consider if you are consciously designing your life map or are you unconsciously navigating life, missing opportunities to create destinations, activities, experiences, and emotions in yourself and others? These same questions can be directed to the context of transformation, possibly as a transformation map. As leaders of change and transformation, what destinations, activities, experiences, and emotions are we generating in others and ourselves? Are they done so consciously with purpose and intention or are they accidental and unconscious thereby generating unintended consequences and resistance to the change. Regardless of the context of the map, we can all take ownership of it by designing our map to reflect not only the efficiency and effectiveness that our societal environment so frequently demands, but also the emotional experience that we as human beings all deserve. Maybe you would design your life map to be characterized as a Happy Map, or maybe efficiency is the design, either way, I encourage you to purposefully and consciously design your Life Map based on what emanates from inside you with a whole life perspective inclusive of emotions and experiences. Are you leading change in an environment with significant resistance? Are you placing the blame for the resistance on “them”? Do “they not get it”? Of all the change techniques available to us, the most fundamental and pragmatic approach is to bring the impacted stakeholders of the change into the problem space. 1) We don’t have the talent to deal with this complex a problem. 2) We need outside perspective, not the same old way of doing things that our current employees built over the last several years. 3) If we acknowledge this change now by engaging our employees, we’ll lose control of the messaging and people will resist. 4) Its a competitive advantage to not let people know yet. We’ll include them when we are ready. 1) Including the appropriate level and number of your impacted stakeholders in the understanding of the problem. 2) Designing the change solution based on some but not necessarily all the input of the impacted stakeholders. 3) Making champions out of the star impacted stakeholders who demonstrate a passion for change and “the new way”. Bring your impacted stakeholders into the problem. Define “change success requirements” and you will lower the resistance.